Crest’s latest series delivers on state-of-the-art multifunction A3 colour systems, with impressive features for outstanding document output at a speed of up to 50 ppm. The tablet-like user interface not only makes the systems intuitive to use, it can also be customised according to individual preferences. 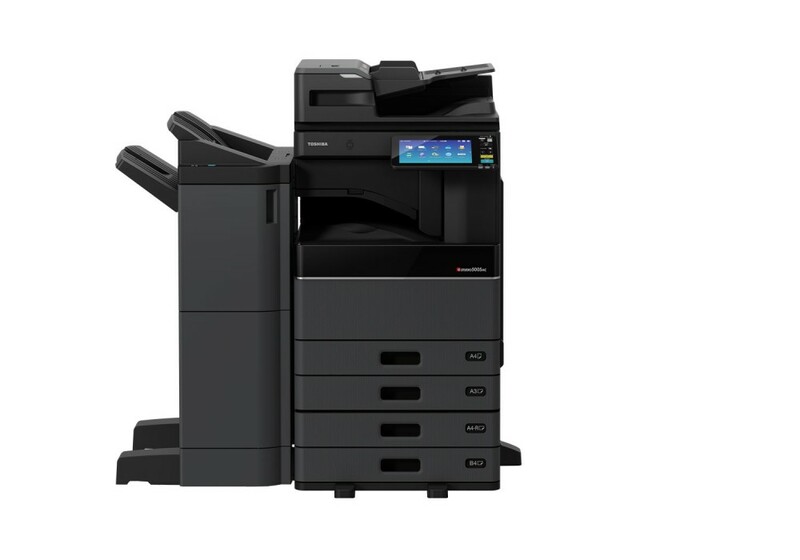 Designed for modern office environments the e-STUDIO 5005AC is ready for mobile printing. The Toshiba e-STUDIO 5005AC has a new high-quality 22.9 cm tablet-style multi-touch screen can be personalised according to a user’s preferences and needs. It starts with the background image, which can easily be exchanged and continues with personalised views. You can change the order of the icons on the home screen, add or remove buttons and decide how many icons should be displayed per page, so that all functions present themselves to you in a way most useful to you. Inspite the compact footprint, the e-STUDIO 5005AC is packed with industry-leading technology and innovations designed to help workgroups connect, integrate and simplify. Dual Scan Document Feeder is an option which holds an amazing 300 originals and boasts an impressive 240 images per minute (ipm) by scanning both sides of the page in a single pass. Large Paper Formats from the Cassette provide the ability to also print SRA3 and upto a maximum size of 320 x 460 mm. Scan to and Print from USB lets you print straight from your USB drive or scan documents to it. Mobile Printing connects these systems with your mobile devices via AirPrint, Google Cloud Print or the Mopria Print Service.